Industrial design has been around for a long time but it’s seen a surge in popularity in recent years, especially with the rise of the farmhouse style that incorporates some industrial elements. Industrial style is inspired by old industrial buildings that were converted into residential lofts. The aesthetic is masculine, gritty, and full of vintage character. It’s easy to incorporate some industrial elements into any other decorating style for a charming, unexpected touch. 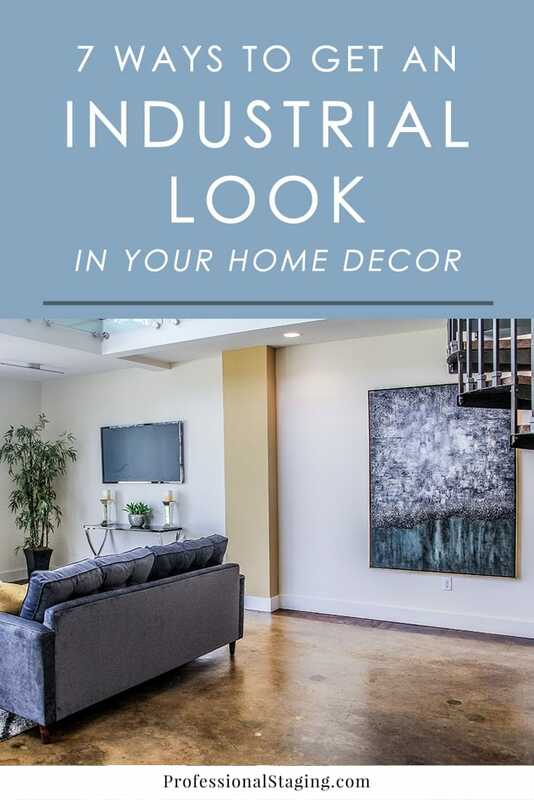 Follow these industrial decorating tips for some quick and easy ideas you can implement in your own home. Edison bulbs are practically the symbol of the industrial style. These cool, eye-catching bulbs can be used in a variety of ways and come in a few different shapes, but they look best simply hanging from a wire in their truest form. They look great as pendant lights in a kitchen, bathroom or even in a bedroom over your bedside tables. If you want to incorporate the industrial style in your home, Edison bulbs are the best way to start. The industrial style has a gritty, masculine vibe, so a palette with plenty of grey and black helps capture the right atmosphere. Keep your pops of color in smaller accents. To bring some warmth into the space, incorporate some reclaimed wood to maintain the gritty look while incorporating a touch of coziness into the décor. Industrial lofts often have concrete floors, so consider ripping up your floors and polishing them for a true industrial look. You can also incorporate concrete in alternative ways such as concrete tables or even concrete countertops in the kitchen or bathrooms. Another common material found in industrial spaces is exposed brick. This instantly brings a lot of character to a space. If you can’t incorporate real brick into your décor, there are faux options that capture the same feel. Just one accent wall will transform the whole space with some industrial charm. In your accessories and furniture, use plenty of glass and metallic accents. These elements bring sheen to the décor while still maintaining that sharp, edgy industrial look you are going for. Varying the textures in your space with these elements will also make it more dynamic. Industrial lofts always have exposed ceiling beams and air ducts. While the air ducts may not be plausible, you can easily install wood ceiling beams to create the charming, dramatic look of a loft. It doesn’t cost a lot but will instantly add to the character of any room in your home, especially a living room or kitchen. Don’t forget the subway tile. White or black subway tile is a classic staple in industrial design and a timeless look in general. Use it in your kitchen or bathroom for a chic touch that will never go out of style.